1. 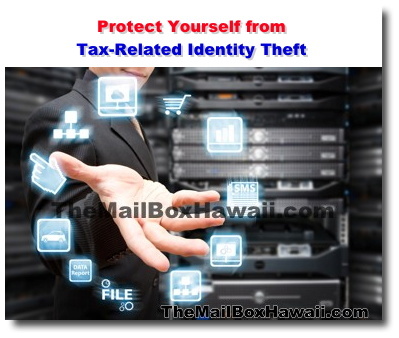 You receive a notice from the IRS that more than one tax return was filed under your Social Security number - this probably means that someone has used your Social Security number to file taxes, so when you send in your real tax return, it appears to the IRS that you are filing for the second time. 2. If IRS records show that you were paid by an employer that you have never heard of - this could mean that someone used your Social Security number to get a job (either by an undocumented worker or someone with a criminal past). It will appear to the IRS as if you failed to report all your income but those wages were actually earned by someone else. In both cases, the IRS will send you a notice by mail. Remember, the IRS will NEVER contact you through email, text, or use social media to ask for personal information. If you receive a letter, email or communication from someone claiming to represent the IRS but suspect it might be a scam, it is best to not respond or just hang up if it is a phone call. Lastly, if you suspect that you might be a victim of tax-related identify theft, call the IRS's Identity Protection Specialized Unit at 1-800-908-4490.